This post is a little bit dedicated to Thai boxing. I’m sorry for the people who are not a big fan of martial arts, but I (re-)discovered this last year in Strasbourg. 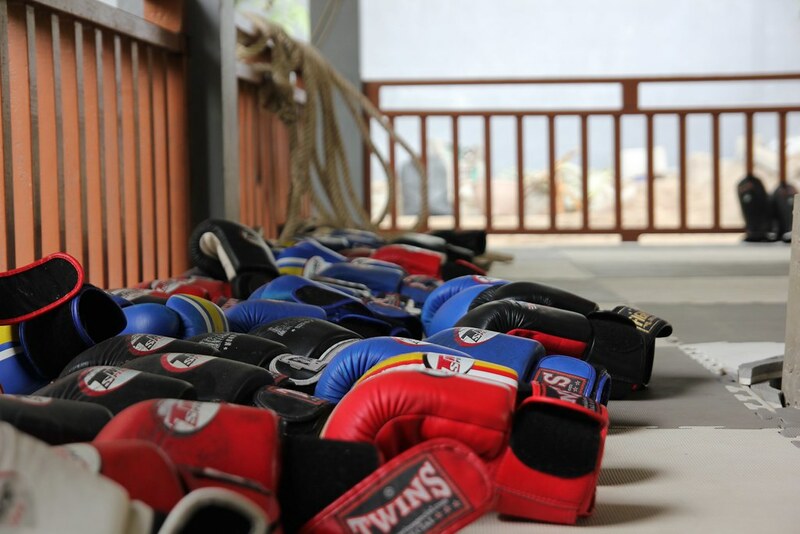 I didn’t know what to expect when I arrived at the Monsoon Gym, but the camp I did here was an amazing experience! White beaches, palm trees, sun and lots of bikinis. There is a really interesting energy on this island. 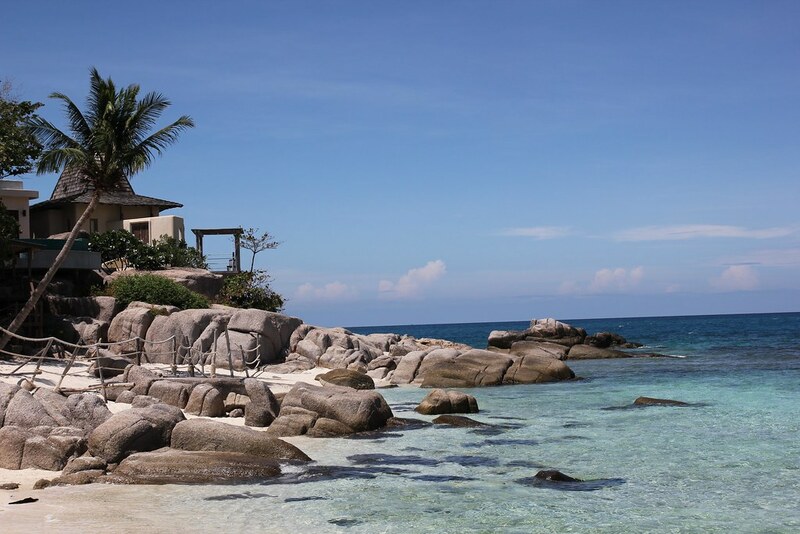 Everyone is doing scuba diving, Muay Thai, Jiu Jitsu, snorkling or just discovering the island by scooter. There are over 50 diving schools on the 21 km²! In general a little bit more expensive compared to other places in Thailand, but still cheap for European standards. It’s also the cheapest place to get your Open Water Diver license for scuba diving! For those who don’t know, I’ve done a year of Shao Lin Kung Fu in Strasbourg. 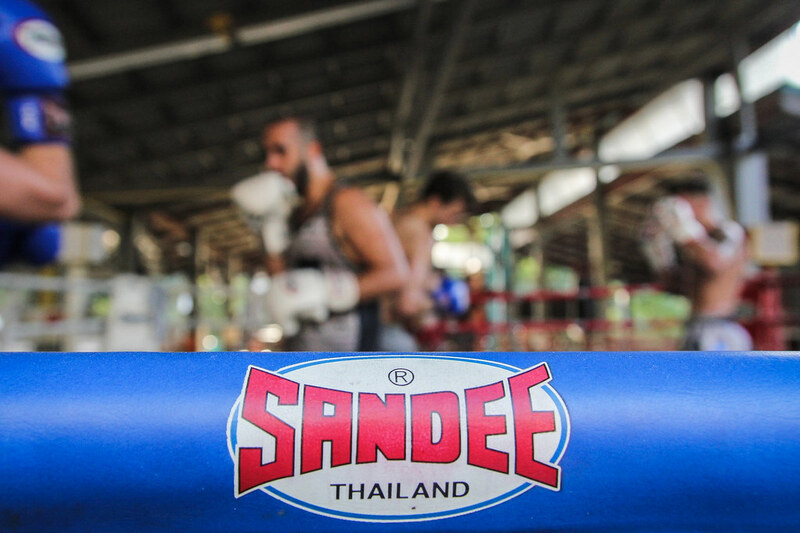 Here in Thailand, Thai boxing (or Muay Thai) is kind of the national sport. In every village and city you’ll find a gym or a club where you can train. Thai boxing and Kung Fu (or Sanda) are kind of similar to each other if it comes to combat. Kung Fu is much more technical and you’re not allowed to use your elbows or knees. When I started Kung Fu in Strasbourg, I discovered that I actually have a good body to practice martial arts. Thank you daddy! After spending two weeks of doing touristic (expensive) stuff in Chiang Mai and Bangkok, I needed a new plan to discover Thailand in a different way. So I stumbled upon Book Martial Arts, a website where you can book camps for one day/week/month/year all over the world! A good way to do some sports and meet people! One session was about 90 minutes. In between the sessions, practice for another three minutes your skills on a boxing bag. Stretchings: Every participant could show 1-3 stretching exercises to execute together. Did I mention the great people at the gym? Choosing to come to the gym was a great decision! The trainers were like children in bodies of grownups. 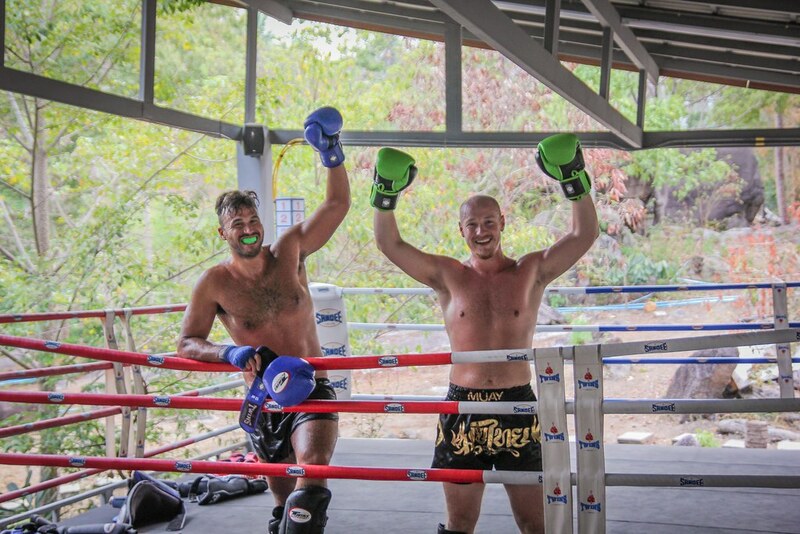 Next to teaching Muay Thai, they were having fun, teasing each other or just trying to get girls to join the training. Because there are so many different people training every day, they only remembered your nationality. 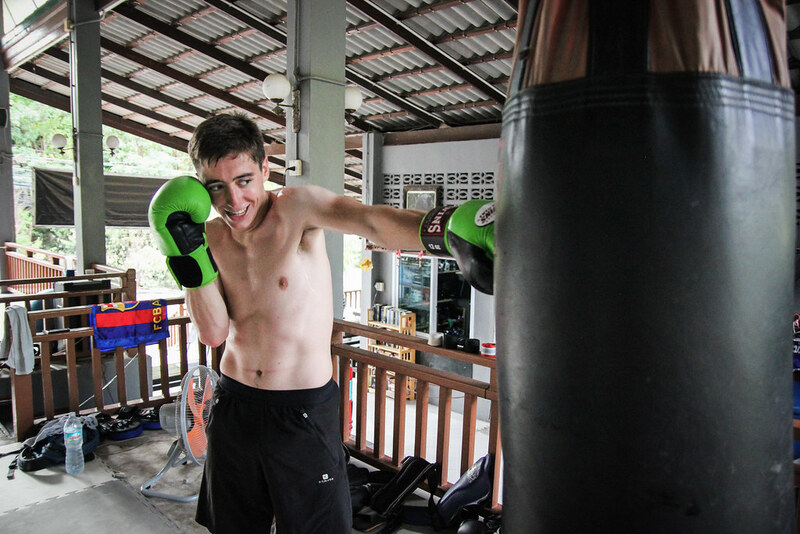 “Beljium, I train you Muay Thai” was what Bowie would say to me. When we weren’t training, we would go out to eat together, play pool or go to the beach. 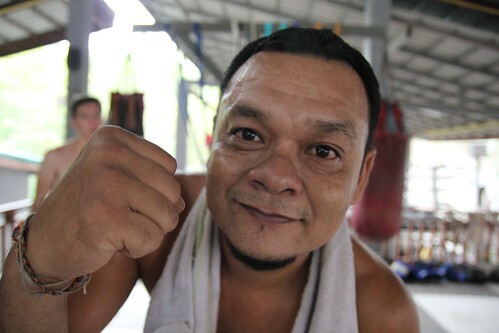 I met some really interesting people at the Monsoon gym/dorm. There was a great atmosphere and everyone was motivating each other! Thanks Jason, Alicia, Mark, Gilaan, Stephen, Yasmine, George and Guy for the great experience! 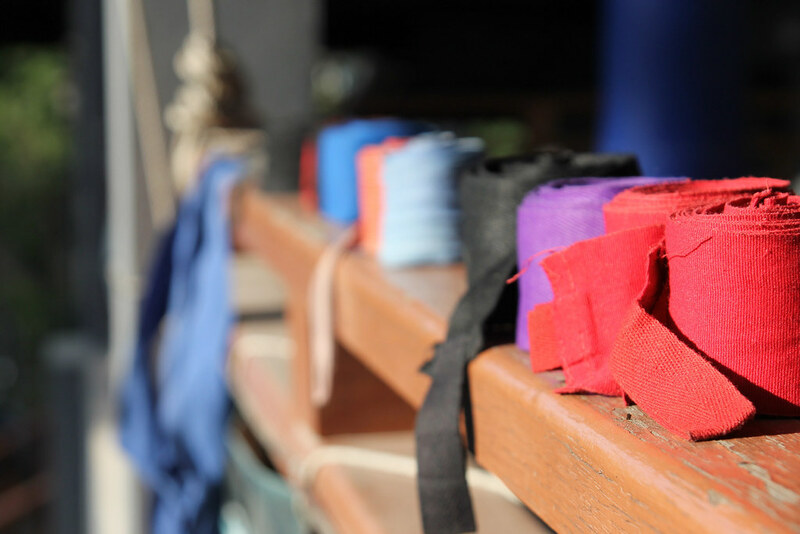 If you’re looking for more information around martial arts, check out Jo Anderson’s training guide! It gives you a lot of tips and advice on different martial arts! As for the next step, I’m staying another couple of days on the island to do scuba diving! Advanced open water is starting tomorrow at the Scuba Junction school!